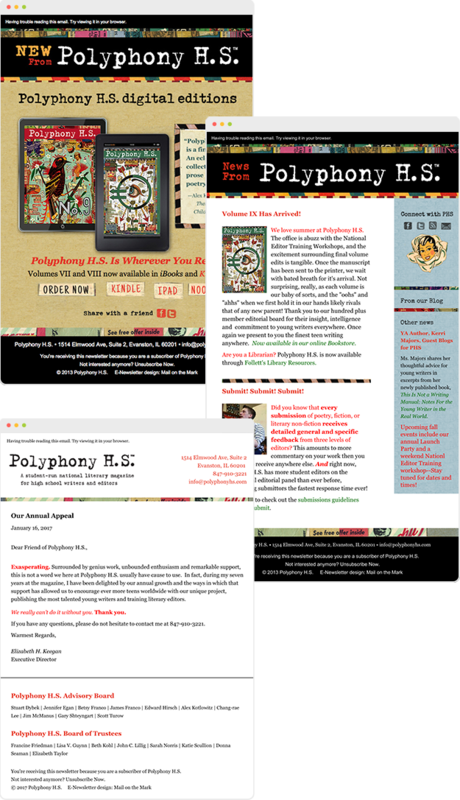 Polyphony H.S. has a very distinct and rich brand identity. Their Mail on the Mark newsletters enhance this image. We created 3 distinct, yet cohesive-looking templates that could be used for different types of communications.